Brexit: Will Britain's exit from the EU be delayed until May? It's now just over a month until Britain's exit from the European Union - an event known as Brexit. 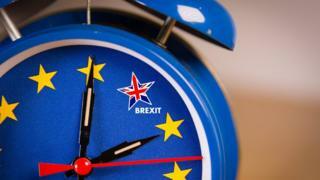 You may feel as if you've been hearing about Brexit for a long time - but parliament is now counting down the days, hours and minutes until the UK is due to leave and there has still not been a deal agreed between the UK and the EU. What is a 'no-deal Brexit'? What do the all the Brexit words mean? The prime minister is being encouraged by some of the MPs from her own party - the Conservatives - to delay Britain's exit from the EU until 23 May. They want Brexit to be delayed to give Theresa May more time to negotiate a deal. However, other MPs want the decision to be taken out of Mrs May's hands. Instead, they want to see MPs from different parties taking control of the Brexit negotiations. Yep, it's voting time again! On Sunday, Prime Minister Theresa May has told MPs that on Tuesday 12 March they will have another opportunity to vote on the deal she has negotiated. Britain is due to leave the EU on 29 March, only 17 days after the planned vote. 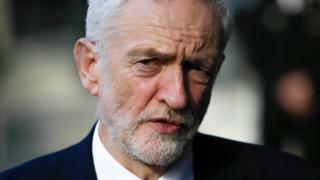 Labour leader Jeremy Corbyn has accused Theresa May of trying to 'run down the clock'. He believes the prime minister is trying to force MPs to vote for her deal to avoid a no deal at the last moment, instead of giving them time to find an alternative. 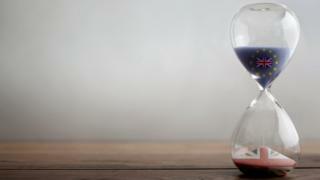 Many business leaders are concerned about the fact that no final decision has been made so close to the deadline. Without a decision, they are unable to prepare for Brexit - which will have a big effect on things that the UK buys from and sells to other countries. What does no deal Brexit mean? What do all the Brexit words mean? This is a really big problem, and Theresa May is just trying to help us! There's no point giving her a hard time. Earth Day: How green are you?